SANTIAGO, Jan. 15, 2015 - An actor of the Spanish troupe "Xarxa Teatre" takes part in "Candles and Winds" during the "Santiago a Mil Festival" in Santiago, capital of Chile, on Jan. 14, 2015. The "Santiago a Mil" International Festival is held from Jan. 3 to Jan. 18, with more than 90 shows, offering 22 shows for free. 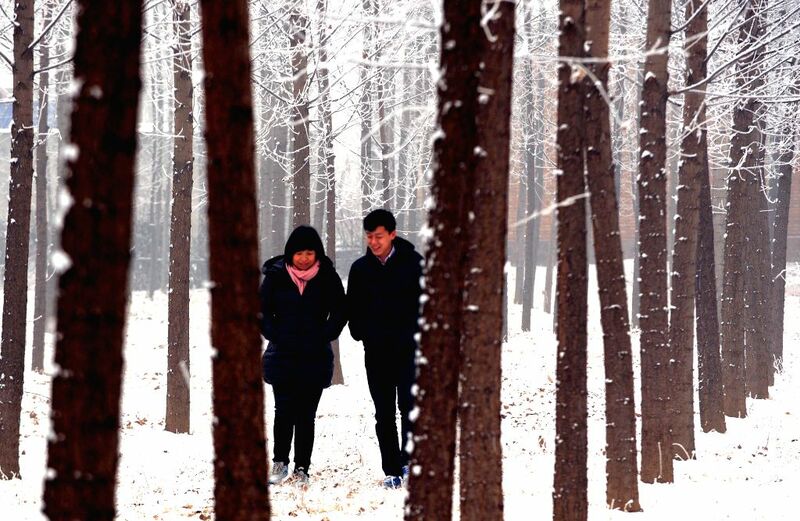 This year the event is dedicated to theater, dance, circus, puppets and music, with artists from 24 countries of the world, according to local press. 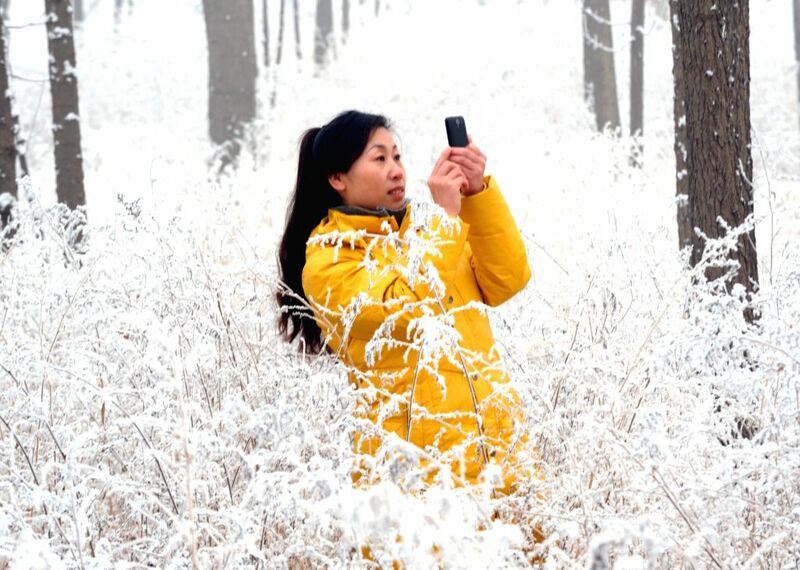 A woman takes photos of the snow scenery in Yongqing County of Langfang, north China's Hebei Province, Jan. 15, 2015.